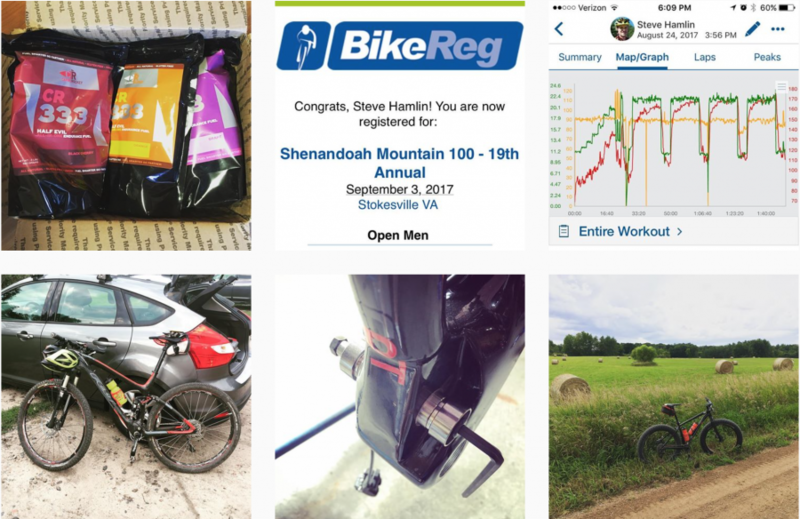 I changed up my race plans again for the month of August and actually didn’t race at all… Instead I added the Shenandoah 100 MTB race in Stokesville, VA over Labor Day weekend. Race was awesome! I am going to start accepting personal training clients out of 2 more Snap Fitness locations, which is nice because they are closer to home with one of them only being 2 miles away. I kicked out another race report and a handful of new podcast episodes. I also had to bail on a couple workouts that I just didn’t have the energy for. I doubt this one is going to end up getting an episode on the podcast with the written report already being so late. I might put that time toward getting my Shenandoah race report out sooner instead. We’ll see what happens over the next few days. In the mean time, check out some of my other episodes and get subscribed to keep up with the newest upcoming episodes and don’t forget to give it a rating. 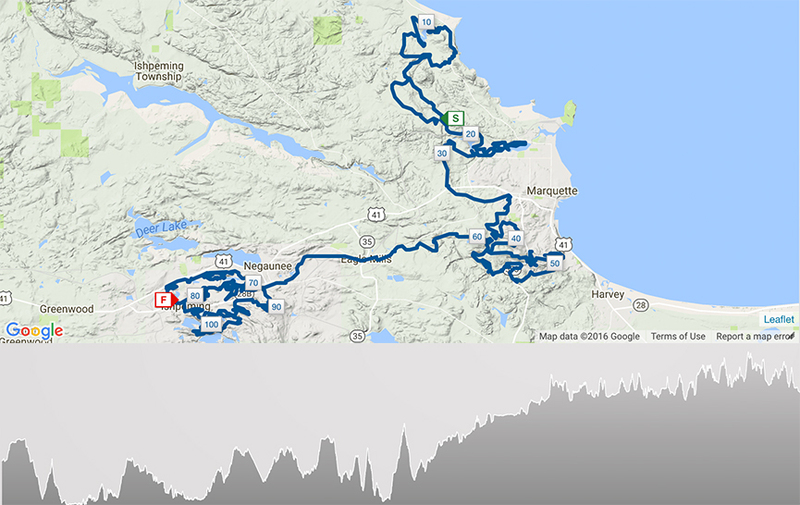 My training hours dropped off in August, but keep in mind that 8+ hours and 100 miles of my training time in July includes the Wilderness 101 mountain bike race. Taking that out of the equation, levels it out a little more closely as I didn’t do any races in the month of August. Plus, the month of August included 2 recovery weeks. The first recovery week being week 1 of August and the 2nd recovery week falling in the last week of August. With that being said, I only hit about 6 hours of ride time for 2 of the training weeks and peaked out at about 10 hours for a 3rd training week. The 10 hour week was actually inbetween the two 6 hour weeks. I intended to hit another 10 hour week, but by the time the weekend came around on the 3rd week, I was pretty trashed and had to pull the plug on some planned training. I think I over did it a little the previous week with the amount of strength work I was doing in the gym, stacked with just to much intensity on too many rides without the proper amount of sleep and recovery. That is usually the problem right there. Even if you can find the time for the extra ride time… You still have to plan the appropriate recovery and sleep time and I think that is where it can fall apart for most people as well. 10 hours is a pretty heavy week for me and at the end of the day… Not that I can’t handle more, but I just have other things in life that I also enjoy doing outside of biking and everything is a balance… So, I’m pretty happy with my race results overall, given the amount of hours I put in. The first one doesn’t really show in my calendar above, but I really meant to get at least 3 intervals in of those 12 minute threshold pulls and I was burried by the end of the second one and felt like it was a smarter move to skip even trying the 3rd. I think I was still feeling the effects of the Wilderness 101 as I really didn’t recover well. I hadn’t sleept well leading up to it and when I returned, I just had a lot going on and again just never really fit in enough rest. The next one was the VO2 max intervals on Saturday. I think it was raining and I originaly wanted to do some trail riding and really hammerfest some of the trail sections. I replaced that with an attempt at some VO2 max intervals on the trainer and I bailed halfway through the 3rd one. I’m not sure if I went out too hard on them or if I just hadn’t gotten myself the proper recovery after the Wilderness 101 still or not. I’m without a power meter right now, so it’s a little more difficult to really nail some of these workouts than it would be if I had power. The 3rd failed workout was my attempt at doing hill repeats at the end of the 3rd week. I went out for an easy out and back warm up ride that turned into an hour. I forgot my food as well, but I was smoked at the end of the first climb. I attempted a second and quit less than halfway through it. It wasn’t really my legs, I could just feel an overall fatigue in my cardio and just felt weak. I tucked my tail and rode back to my car. I might have went out harder than I should have on the first one, but don’t think that was the main problem. I was just wrecked from a little too much intensity through the previous weekend and just ready for some recovery. 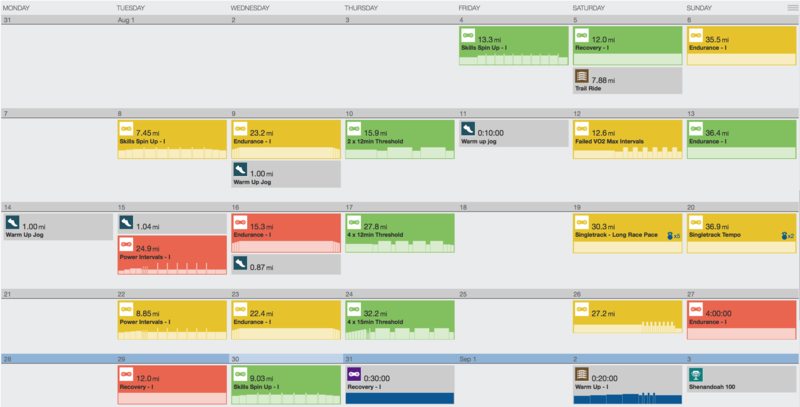 Like I mentioned, that previous 10 hour week is a heavy week for me relative to what I can normally fit in. On a positive note… I did set a PR on that hill climb, but was using my full suspension 29er vs my previous PR being set on my road bike! Probably a good sign that I went too hard on that first interval. A quick note on the intensity thing… The previous weekend, I had done some hard race pace trail riding on Saturday at the Woolly Bike Club Trails in St. Croix Falls, WI. It went well and I set some lap & segment PRs. My intention on Sunday was to do some trail riding, but just keep it to an endurance/tempo pace. I went to a different trail that had milder climbs, but lots of switchbacks that would force me to work on my trail flow and efficiency. This would be Elm Creek in Champlin, MN for those curious. I held back my first couple laps, 20+ miles. I noticed that my lap times were right there with my previous PR lap time that would have been set with much higher intensity. I couldn’t help myself and started dialing things up my last 3rd lap and at the end of the day, just stacked up way too much intensity into the week. I did beat my previous PR by around a minute though and still did it with less intensity, a lower average heart rate. So on a positive note, I’m still getting faster! I honestly didn’t plan to do any running this month and have pretty much officially scratched on my plans of running the Madison Half Marathon in November. That being said, I am actually planning to get back to some running in October, but will try to do most of it on the trails. I figure I’ll give myself a week or so after the Marji and start doing some hiking and turn it into a month or so of trail running before winter sets in. I really do still want to do some trail running. The running I did this month was just some slow paced warm up jogs on the treadmill at the gym, before hitting some weights. I intended to keep my strength work to just maintenance type stuff this month, but I was spending a fair amount of time in the gym because I started Personal Training out of 2 more Snap Fitness locations. So, I actually put in 2 weeks of solid strength building routines. It was all in the upper body as I was already hammering my legs with my bike workouts throughout the week. I was doing 2 days a week of chest/shoulders and then another 2 days a week of back and core. The timing may not necessarily been perfect, but it felt really good actually to cycle through some solid upper body strength work. I could use it too! I am looking forward to some more solid strength work in the upper and lower body this fall and winter. My nutrition has been on the better side of things this month. I’ve been incorporating more whole grains and I’ve had less junk type food than in the past few months. Part of that is due to the fact that we ran out of Ruhbarb in the garden, so the Ruhbarb pie production came to a screeching hault. As I type this and thinking about it, I’ve actually had a fairly clean diet the last month. I’d actually bet that I’m a tad leaner right now than I was a month ago. I don’t actually look at the scale that often. It’s really not about the number on the scale for me anymore. It’s all about how I feel. Aside from that, I’m not going to dive into it much deeper at this point, other than mentioning I will probably spend some time studying nutrition this fall. It’s a short list, but is 200+ miles and hopefully no more than 20 hours of racing. I think you’ll find this useful in planning which aid stations to leave your drop bags at or how to schedule your fuel ups, bottles, hydration pack, etc… Check it out, let me know if you like it because I have a few more things like this in my mind, along with improving the format of the existing one and adding some more features if there is enough interest. Like I said, let me know. If you are interested in racing the Marji Gesick 100, you should check this out. I know I’m biased because it’s my podcast, but it’s almost 2 hours long with a lot of detail about the race and I have gotten some good feedback on this episode..
2 big races in September and then I’ll be switching gears for a little bit. I’m really looking forward to seeing how my body handles these 2 tough races so close together and how my recovery is this year after the Marji Gesick compared to last year. If you have any questions about anything I shared, feel free to hit me up using my Contact Me page.